Seeds are source of natural bright-yellow food colouring, used in butter, margarine, cheese and other foods. 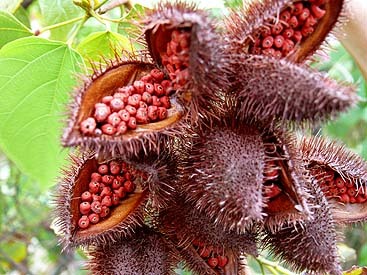 Used by South American Indians to paint their bodies red. Easy to grow shrub or small tree; nice compact bushy habit.